While having more cash flow can solve a lot of problems for new businesses, not every startup should look for funding. There are many factors that come into play when deciding whether an investment in your business could be the unlock to its success. The first of those factors is whether your goal is to build a lifestyle business or a scalable business. A lifestyle business is typically run by its founders with the intention of sustaining a certain level of income or to provide a particular lifestyle, such as flexibility in scheduling, work/life balance, or the ability to travel. On the other hand, a scalable business is set up to maximize revenues and grow to its highest potential. Let’s look at three reasons turning down funding, or not fundraising at all, may be the best business decision for your business. Outside funding comes with added pressures and expectations. Alex Batdorf, Founder and CEO of Get Sh!t Done, raised almost $3 million for her previous company from both venture capitalists and angel investors, only to realize the added pressures involved in taking on outside funding. “For any entrepreneur, it puts you in a position where you are responsible for trying to meet investor’s expectations, which may not always be best for the company but instead, what the investor feels is going to give them the quickest and most lucrative return,” says Batdorf. Not to mention, even before you find an investor that is a good fit for your business and is willing to fund your startup, the fundraising process itself is grueling. It’s a full-time job on its own. From the research and outreach it involves, to putting together pitch decks, and attending investor meetings, your long workdays will turn into long nights. In the early stages of business development, it’s important to focus on your product or service, your website, and all the other consumer-facing aspects of the business. The more time you tie up looking for investments, is time not being spent on developing your new company and connecting with potential consumers. “I think it’s vital for entrepreneurs to not raise money when they need it, but instead as a choice to scale the vision and roadmap they’ve clearly identified by putting in the work to understand their customers and the market. This way you’re not at the mercy of investors and taking on capital from a position of survival, when you can’t think clearly, but instead from a strategic position of power where investors are merely partners that you’ve decided are a good fit for your scaling needs,” she adds. You will no longer be working for yourself. Remember how you started your business because you wanted to be your own boss? Well, once you’ve accepted funds from an investor, you are now essentially working for them. Investors take ownership of large percentages of your business, and because of their vast experience they will want to run things a certain way. They may want you to execute initiatives on their timeline and will have demands and ideas that may be different from yours. That’s the number one reason I decided to self-fund and not raise capital. I knew that my goals for Studio 15 may not resonate with many investors and I didn’t want to compromise on my vision for the company. Having an investor wasn’t conducive to my financial or strategic goals for the company, even though the funds would have been helpful to grow the business quicker. But rather than looking for funding, I chose to re-invest funds into my business to grow it slow and steadily, taking the revenue from the company’s sales to put back into the business in order to fund the next marketing initiative. Funding your business with your own money forces you to be more strategic about how you spend it. Tiffany Yu, CEO & Founder of Diversability, a company that rebrands disability through community, managed investor relationships and fundraising for a previous company she worked for which gave her the insight to know that she didn’t want to raise capital for her own startup down the road. “I forecasted the exact week the company would run out of funds and need to do the next round. Getting to experience that behind the scenes action made me realize I never wanted to be in that position. It made me realize ‘venture-backed’ was situation dependent and wasn’t something we should necessarily aspire to. For my business today, that has meant making decisions that don’t put us in a cash flow pinch. Having complete control over my business means that I am my own boss, can move quickly if needed, and set better boundaries around my time,” says Yu. You don’t have an exit strategy. Most investors will want to know what your exit strategy is, whether that be to sell the business to a new owner, be acquired or go public. If you don’t have an exit strategy (or don’t want one), you may have a tough time finding an investor in the first place, and may want to forego fundraising altogether. Investors are looking to make their money back and then some, and an exit strategy is where most investors will look to make money. 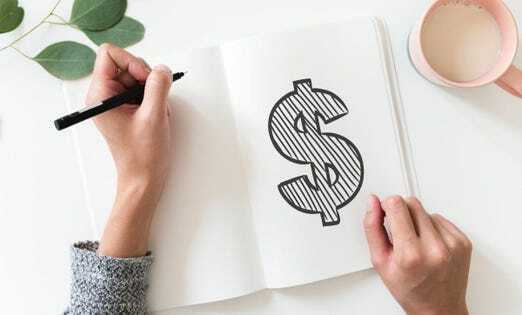 If your goal is to build a lifestyle business, you shouldn’t dependent on investors, as that won’t allow you to withdraw cash as often as you’d like in order to live on the income. With all the demands of starting a new business, it’s important to decide upfront how you will be spending your time and money, and it just may be in your best interest to forego investors depending on the type of business you are building and if the benefits don’t significantly outweigh the drawbacks.